Caledonia Public Library patrons can now download audiobooks and ebooks to their computers, smart phones, and tablets for FREE(!) using Libby. The Libby collection is made available by Southeastern Libraries Cooperating (SELCO). 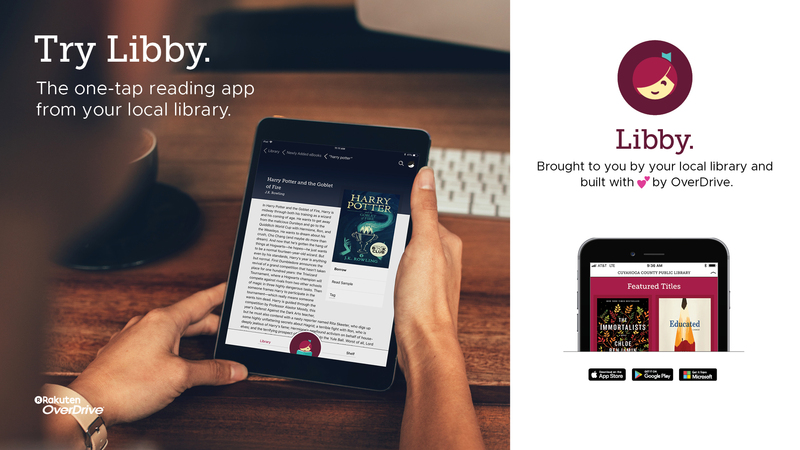 Go to Libby to download the app and sign in using your library card number. There are thousands of titles available and new ones are added each week. Need some help setting getting started? Check out the Libby help site for instructions and tools to help you download ebooks to your device. Or stop in at the library, and we will assist you!